December 3, 2014 Hawaii House Minority Representative Gene Ward Ph.D.
Thursday, December 4th, from 9:00-10:30am a delegation of Indonesian diplomats will meet in room 325 at the State Capitol. The diplomats are spending two days in Hawaii as an advance team for the Governor of Bali, Made Mangku Pastika, who will be visiting the islands next summer. The delegation is meeting with the directors of the Hawaii Indonesian Chamber of Commerce (HICHAM) and plans to tour the State Capitol. “Tak kanal maka tak sayang,” said Representative Ward. He quoted an Indonesian proverb signifying that Bali and Hawaii know each other and are affectionately bonded together. The delegation schedule includes visiting Hanuama Bay for an Eco-Tourism and Ocean Safety Presentation with Jim Howe and City and County Lifeguards. They will meet with President Charles Morrison at the East West Center. Dinner will be at a private residence with members of the Hawaii Indonesia Community. 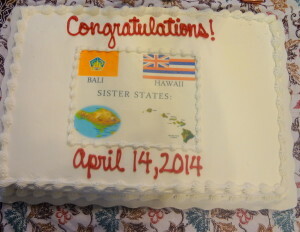 “The two most beautiful places on earth are now Sister States,” Ward said. 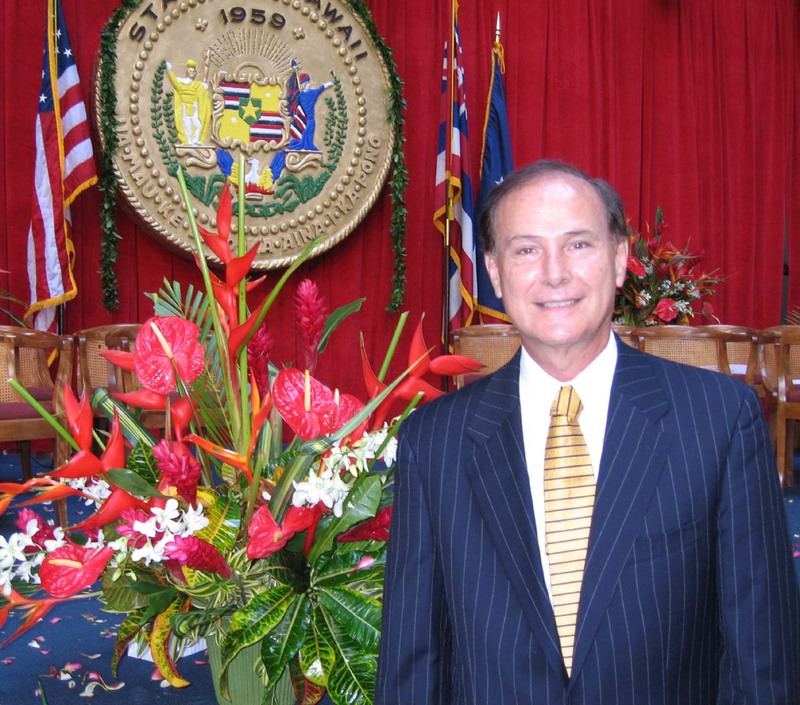 December 3, 2014 December 3, 2014 Hawaii House Minority Representative Gene Ward Ph.D.
Is Governor Ige supporting Republican Issues? “We listened, and we heard an open invitation to work with Governor Ige on legislative issues,” Representative Gene Ward said after the inaugural address. Representative Ward’s legislative priorities include: growing and diversifying our economy while doing more to support small businesses; strengthening our public education system so that students and teachers reach their full potential; honoring our kupuna and respecting their dignity and independence, including their financial independence; supporting common-sense environmental protections so that our unique ecosystem is not threatened in the name of progress and job creation; and above all, working transparently and accountably to serve the public interest, while spending taxpayers’ hard-earned money wisely, responsibly, and with the utmost accountability.